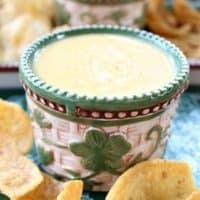 For all of you who are eating a whole foods/plant based diet, this is an excellent Vegan Cheese Sauce that you will definitely want to keep handy to use in many different recipes. 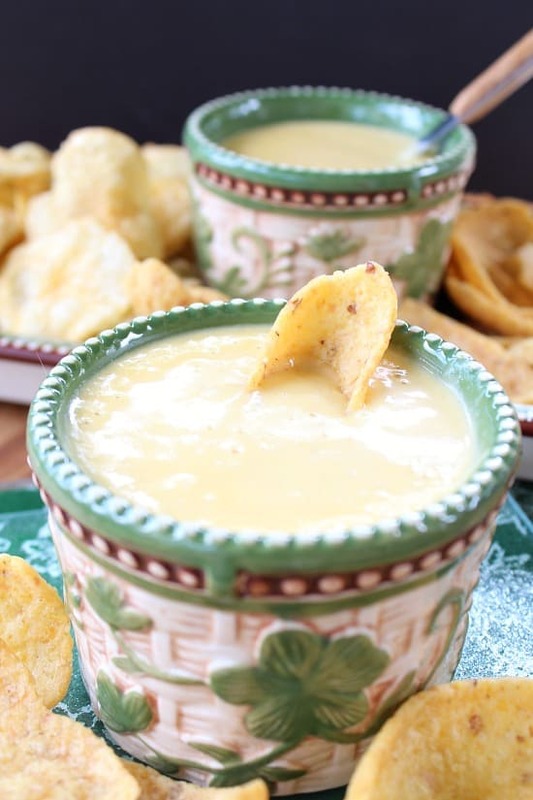 My cheesy scalloped potatoes are amazing and this is the sauce I use for them. 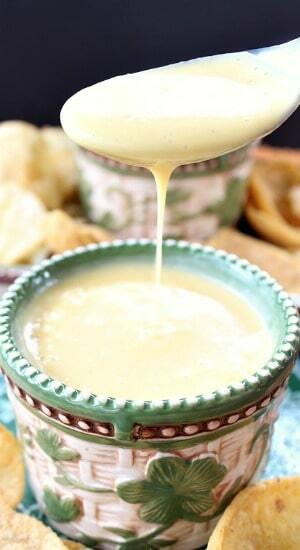 This vegan cheese sauce tastes fabulous and makes a great dipping sauce for all kinds of food. Drizzled over broccoli makes an excellent side dish! 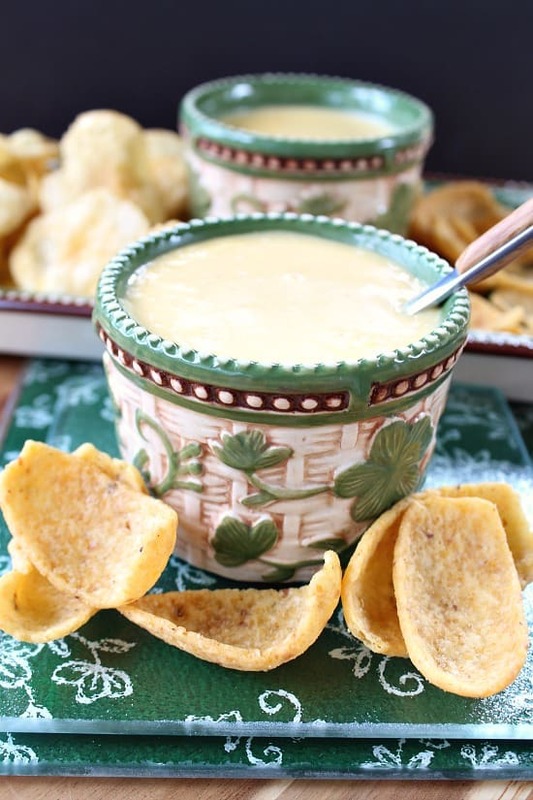 I didn’t have any veggies on hand for this cheese sauce today, and I wanted to get this recipe out to you, so corn chips and some vegan potato chips are it! Both tasted great dipped in this sauce! You can add some organic pasta to this vegan cheese sauce too and you’ll have yourself a delicious mac and cheese vegan style! I do have that recipe on the blog too! Make sure to check out that recipe as well. So delicious! 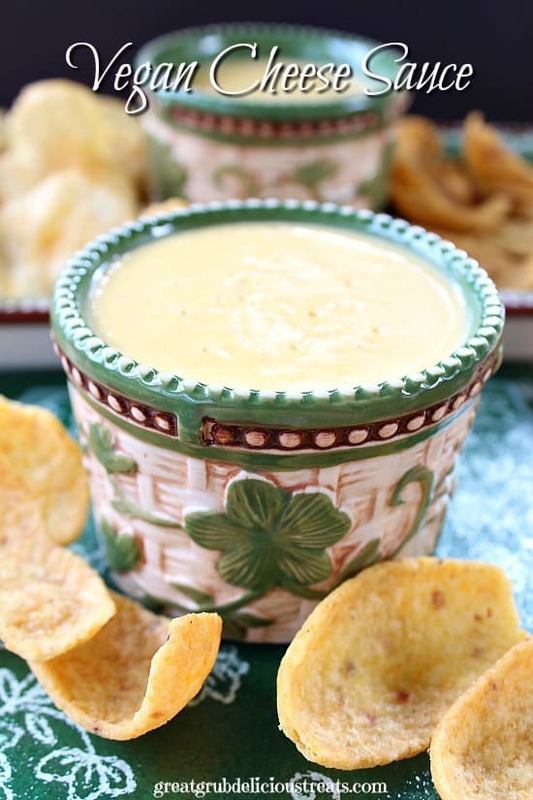 If you have a Vitamix®, I definitely would use it when making this vegan cheese sauce! The raw cashews turn to powder and the Vitamix® makes this the creamiest sauce ever! No gritty taste, it’s just smooth and creamy! 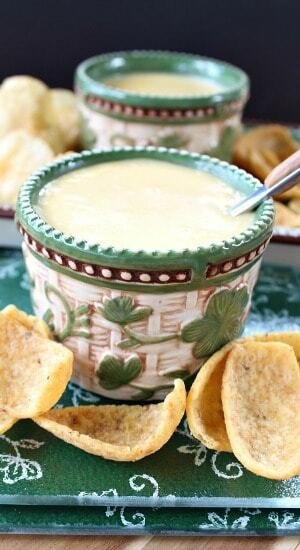 I could just drink this cheese sauce, it’s that good! So easy to make and SO healthy as well. 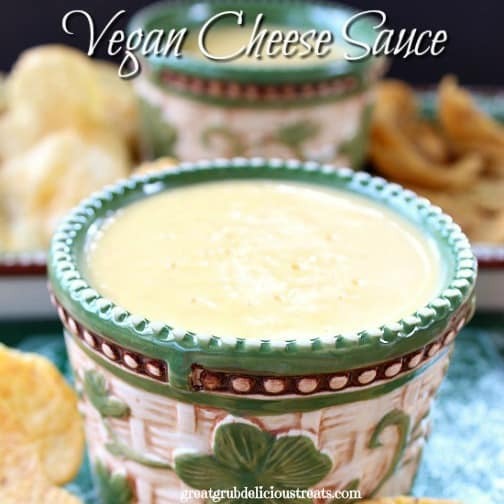 If you are even thinking of starting a whole foods/plant based diet, this is definitely a cheese sauce that you will love. 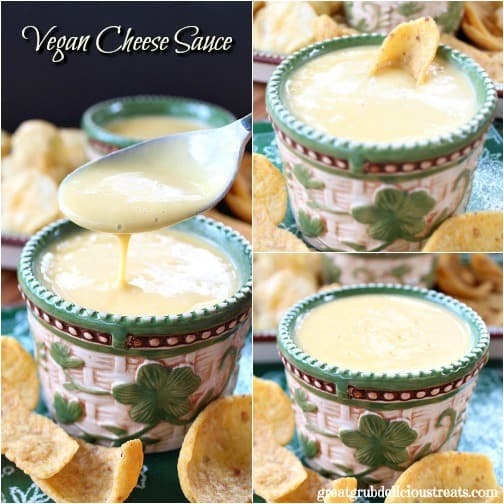 Try this delicious Vegan Cheese Sauce today! 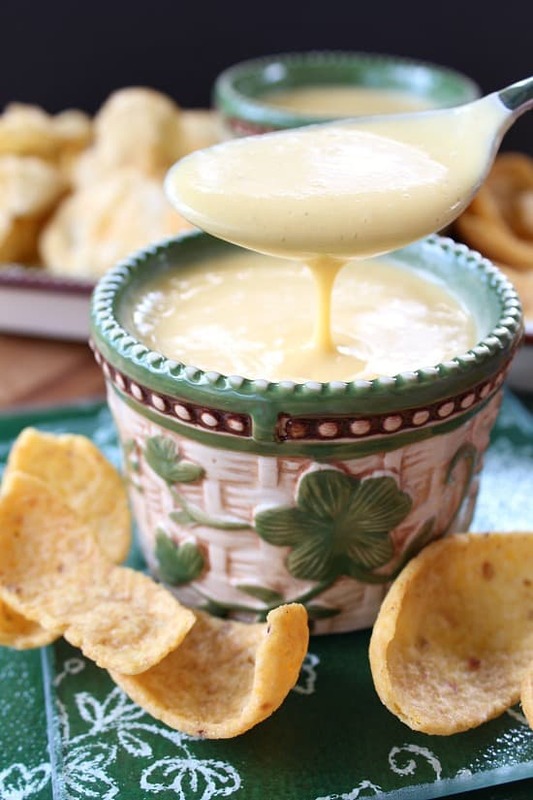 I hope you enjoy this healthy, creamy, delicious cheese sauce! Bring 4-5 cups of water to a boil in a medium sauce pan. Add potatoes, carrots and onions. Bring back to a boil and reduce heat to low until vegetables are tender. Drain water, reserving liquid, and add vegetables to Vitamix. Add 3 cups of reserved water, cashews, almond milk, nutritional yeast, lemon juice, garlic powder, salt and cayenne pepper to Vitamix. Blend on high until ingredients are nice and creamy, about a minute. HI Jeri, I am sending you a link to copy and paste in your search bar for nutritional yeast so you can see what the container looks like. And here is some info on what nutritional yeast is. “Nutritional yeast, commonly known as nooch, is popular among people following a vegetarian or vegan diet. It provides a non-animal source of protein that contains all nine essential amino acids (the ones you can obtain only via your diet, typically from animal protein sources).